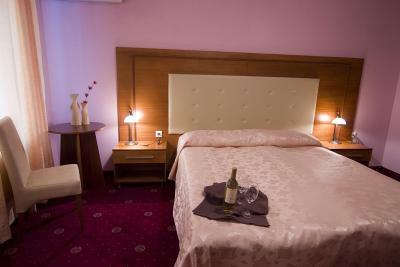 Lock in a great price for Arena Tarnovo Hotel – rated 8.4 by recent guests! 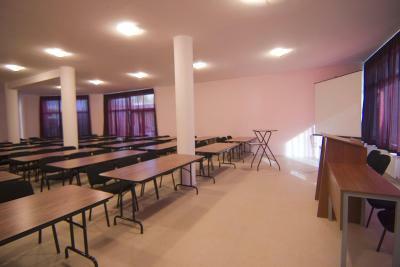 Excellent location with secure free parking (parking is a big problem in the city). Very helpful staff. Very good breakfast. Bright pleasant feel to the well run hotel. Spacious comfortable rooms. Fantastic value for money. I liked the beds and the fact that the room was big. Very large rooms, towels changed every day, and a nice cold fridge. A few English Chanel's on the tv, which is a bonus. Very nice room and breakfast, both are like 4 star hotel level. Extremelly good value. Reception staff were very nice and helpful. Cleaning ladies did their job properly. The front desk staff were extremely helpful and friendly. I thoroughly enjoyed my room. The wifi service was very good as well. It was very quiet at night, therefore I did not have a problem sleeping well. 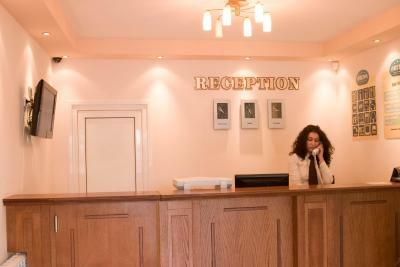 I liked the room which was spacious and the receptionists were eager to help. Very kind people, very tasteful local dishes and drinks. A pleasant staying! Arena Tarnovo Hotel This rating is a reflection of how the property compares to the industry standard when it comes to price, facilities and services available. It's based on a self-evaluation by the property. Use this rating to help choose your stay! One of our top picks in Veliko Tŭrnovo.Benefiting from a convenient and quiet location in the center of the old capital Veliko Tarnovo, Arena Tarnovo is a luxurious hotel close to the Ivailo Stadium, offering a superb restaurant. Free WiFi is available in all areas of the property. 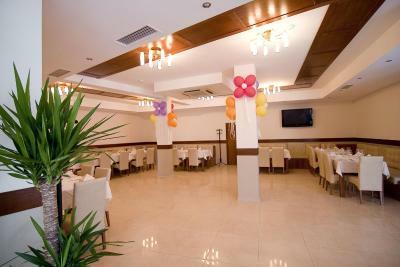 You can also organize cocktail parties, weddings, family celebrations and business events at the Arena Tarnovo. 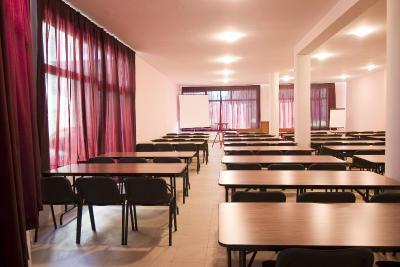 When would you like to stay at Arena Tarnovo Hotel? This air-conditioned room offers a flat-screen TV and mini-bar . House Rules Arena Tarnovo Hotel takes special requests – add in the next step! Arena Tarnovo Hotel accepts these cards and reserves the right to temporarily hold an amount prior to arrival. It was more than enough good. I recommend it to the visitors of Veliko Tarnovo. AC was falling apart. Bathroom could be cleaner. Close to the center. Nice breakfast. From time to time there was a bad smell in the bathroom. Bathroom had a ventilation but it seems it couldn't eliminate the odor completely. The room was very spatious; the hotel is situated rather close to the old city center, just a 20 min walk away; We enjoyed a good meal at the restaurant in the evening; the staff were very friendly. The mattress was old and not comfortable. The staff is very polite. Had no issues with the accomodations/formalities. 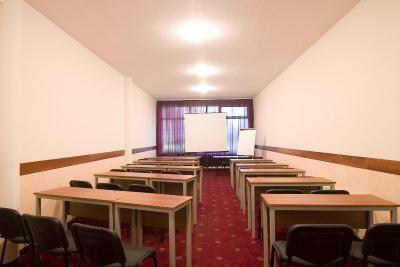 The rooms are clean, spacious and have all the required utilities to make you feel comfortable. The bathroom had no bathing tub, just a shower and a drain next to the toilet (WC). Breakfast had a variety of choices, but the ingredients and the food itself didn't looked fresh or tasty. We liked that the room was clean and the fresh coffee from restaurant. Hotel is 7 minutes from old town, if you choose to walk by foot. The fact that they have parking spaces is a big plus. Everything went easy and smoothly. Decent parking space - large enough for XXL van. Great service, clean room and delicious breakfast. The smell coming from the water installations was very bad and everywhere. Very comfortable hotel, cleanness, quietness, underground parking, friendly staff, good breakfast, not far from city center, everything over the expectations! Nothing really, a great place to stay while visiting VT. 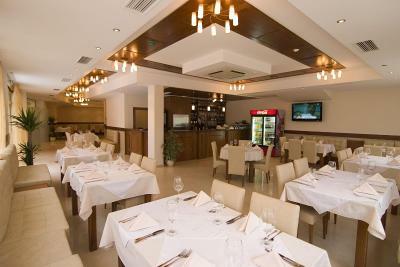 Very friendly and helpful staff, good facilities, a comfortable and enjoyable stay. Close to the town, just a short easy walk to the centre. Excellent secure free parking.